At some point in the past several months, probably after a Windows 10 update, my PC started to display a cryptic and annoying dialog box every time I logged in. 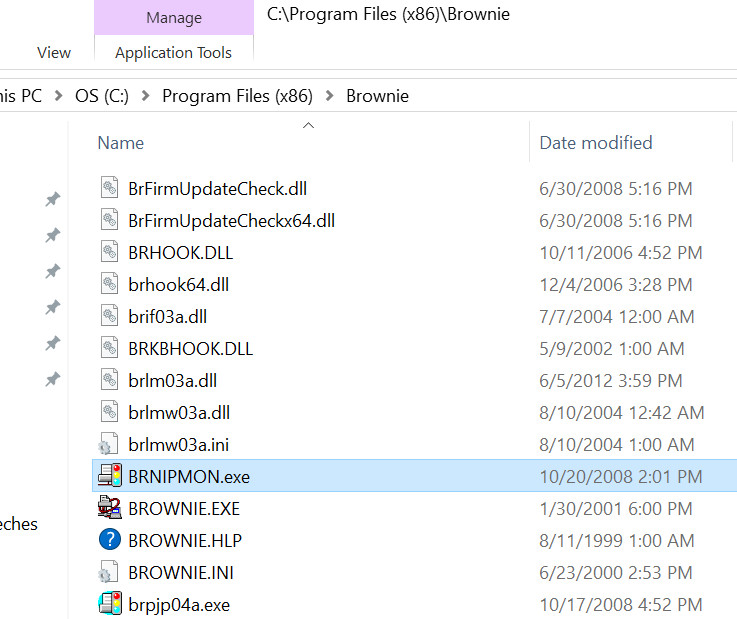 I started wondering if somehow, a virus had gotten into my computer. 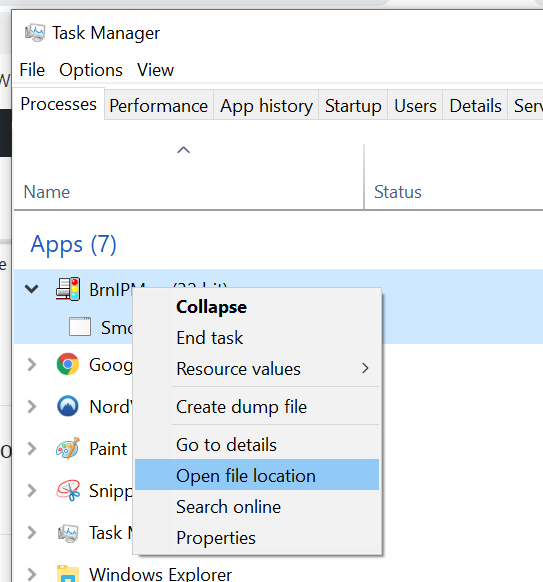 I hadn’t spent the time to figure out what it was causing it, and how to get rid of it, until today. 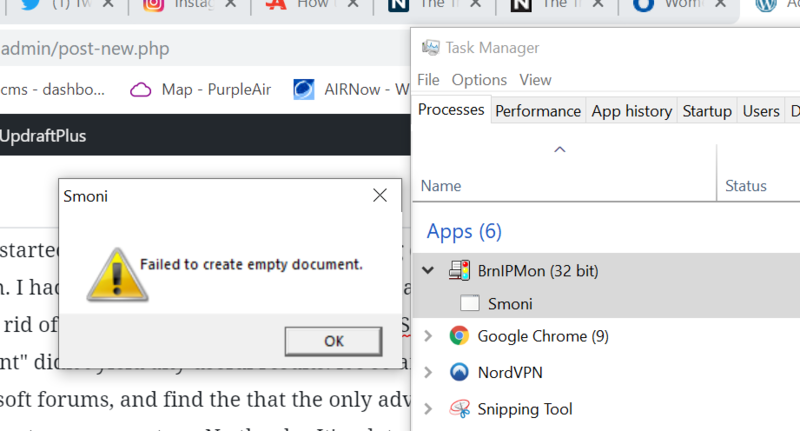 A google search of “Smoni Failed to empty document” didn’t yield any useful results. It’s so annoying to go through Microsoft forums, and find the that the only advice they can give you is reset or restore your system. No thanks. It’s a lot easier to do than spending hours backing up and reloading all my programs and files. Bingo! 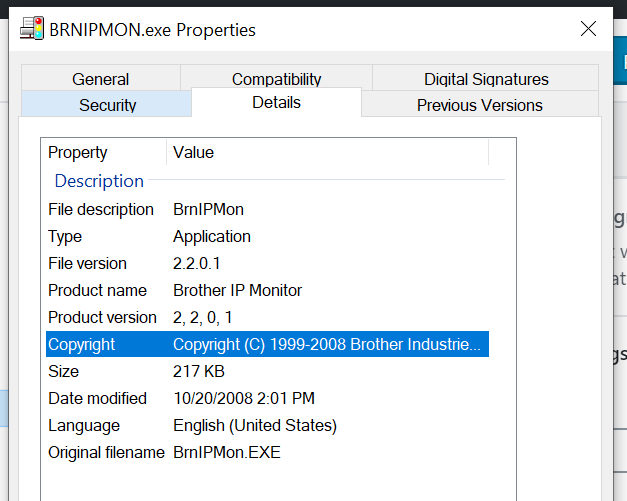 It’s Brother IP Monitor, which I figured out is monitoring software for my Brother WiFi connected laser printer. Something in my recent Windows 10 updates (probably the new Creator’s Edition), caused an incompatibility, which triggers this stupid error dialog. At this point, I could just uninstall it or delete the files, but since I now know that it isn’t malicious, I’ll just leave it for now, and look for a software update when I have time, and see if that fixes the issue. There are 1 Comments to "How to Get Rid of Smoni – Failed to empty document"
Thanks for the write up. That process should work for other similar error messages.